sourdough bread has always been one of my favorites. 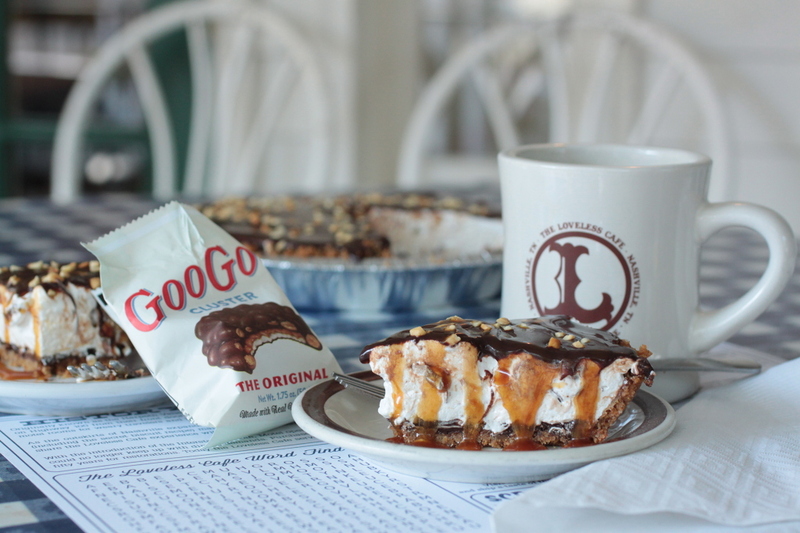 as a kid, my grandmother took me to san francisco and i have been in love with the flavor since then. with a slightly tangy flavor and a thick and chewy crust, authentic san francisco sourdough bread has always been the bread of choice for me. of course, if you do not live there, you can only savor the memory once you leave because finding the same bread outside of the bay area very rarely compares. the naturally occurring yeast in the starter has unique qualities much like a new york pizza-nearly impossible to duplicate once you leave the region. over the years, it has been 16 years since we left san francisco, i have experimented many times with starter but never had much success until one day when our daughter needed to do a project for the science fair at school. i suggested natural yeasts and several different types of starters and thus began a trial and error project that produced one of the best loaves of sourdough bread we had eaten in years. we used grapes to make the starter and for several months, the starter lived in our fridge until i neglected it and it died. years later, i found myself working in a garden as a volunteer for the local master gardeners association and in this garden, grapes were growing. more importantly, organic grapes that i could use to make a new starter. using a recipe that has been credited to nancy silverton of la brea bakery, i proceeded to use those grapes to grow the best starter i have ever had and a year and a half later, it is still going strong. the starter worked out so well that i split it and i now have a jar of white starter and a jar of rye starter. my fascination with bread also led me to bread baking day. each month for the last 3+ years, the followers of bread baking day pick a host who choses a theme or a specific recipe and everyone bakes bread and posts the results on blog pages worldwide. at the end of the month, the host of the month posts a roundup of all of the breads produced by the participants. over the last year or so, i have sporadically participated in the monthly event. when i saw that this months theme was a bread that used a sponge or ferment, knowing that my rye starter needed a feeding, i baked a loaf of sourdough rye. first i took a cup of the starter and placed it in a bowl with some water and flour. 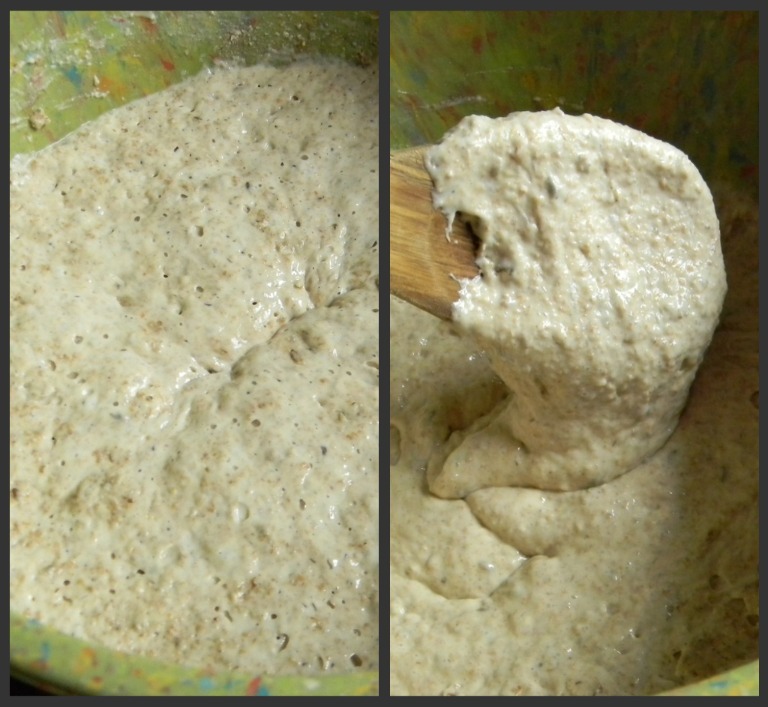 it makes a soft dough when it is mixed and this is then allowed to sit and age to develop a sour flavor. 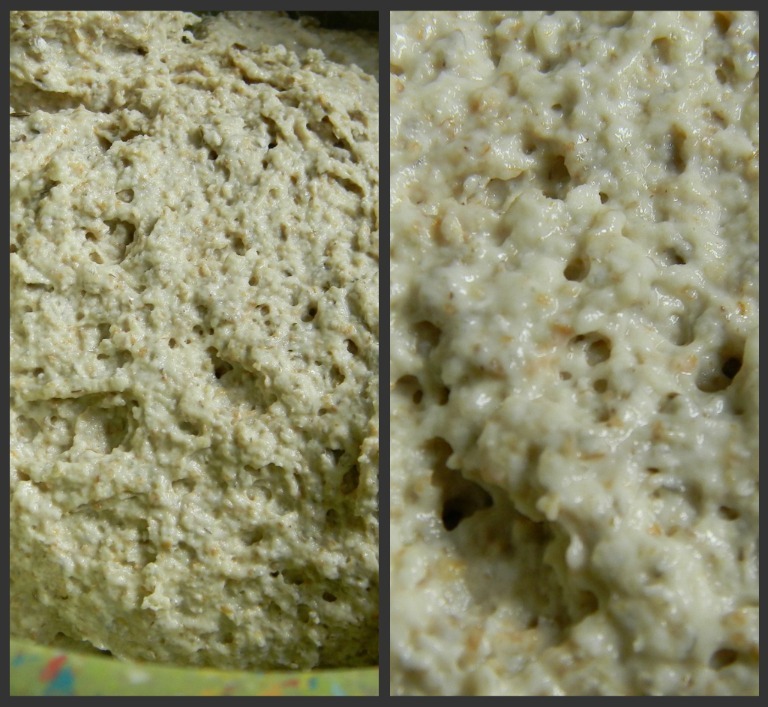 on the left is what the sponge looked like in the bowl and the right is a close up view-you can see the caraway seeds and the bits of the rye grains in the flour. it has been cold here and as a result, my starter grew very slowly. so slowly that i decided to let it go an extra day. here it is before i stirred it(on the left). after sitting out for 24 hours, it became rather runny but it still had some structure from the plain bread flour that was mixed in. 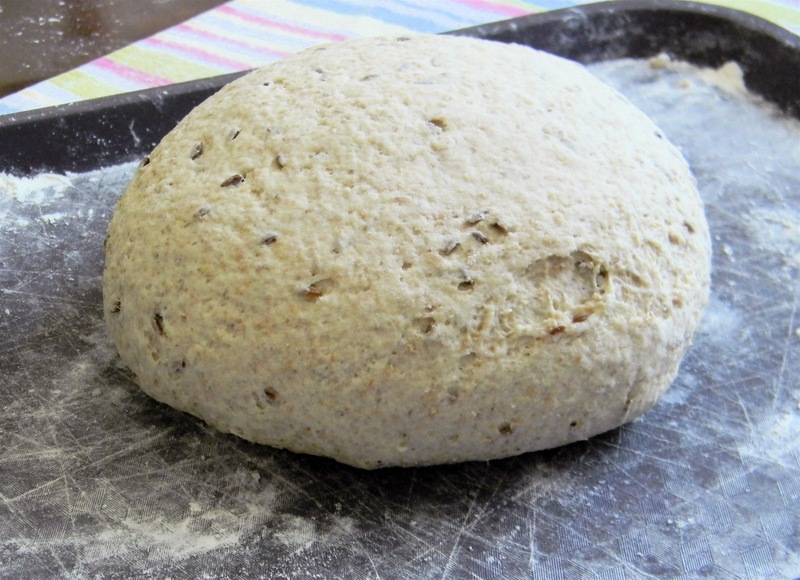 on bake day, i added some salt and bread flour and prepared to knead the dough by hand. using a spatula, i mixed in as much flour as i could and at this point, the dough had the consistency of a soft biscuit dough. i turned it out onto the tray and started kneading. the dough is beginning to show some structure and it is still a bit sticky and soft. 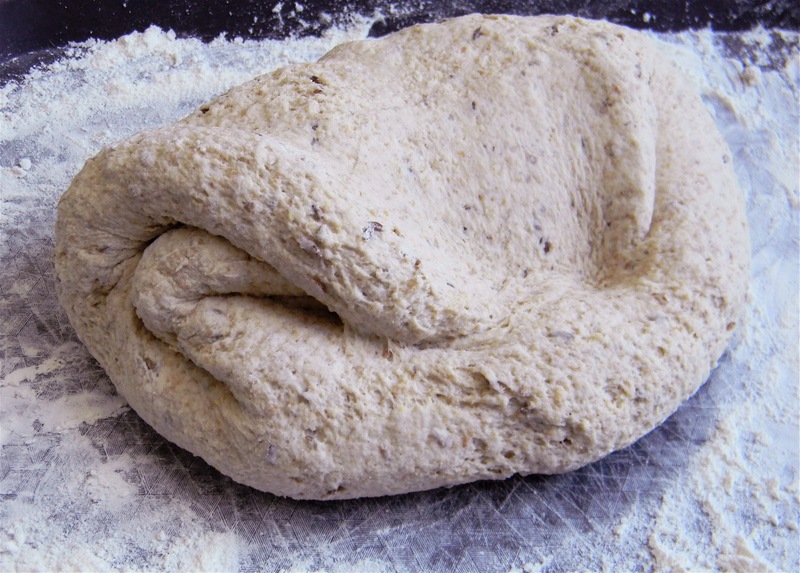 the dough is no longer soft-it has definite structure and is just a little sticky from the friction of kneading. 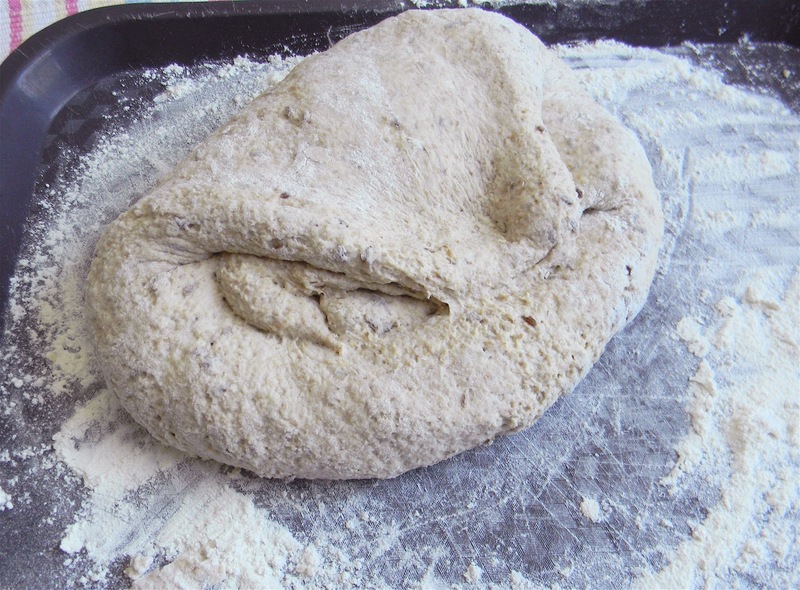 the dough holds its shape and is elastic. the grains from the stone ground rye prevent it from looking smooth but it is ready to rise in an oiled bowl until about double in size. remember what i said about the kitchen being cold? well, i do not have a gas range in my kitchen and i cannot use the heat of a pilot light to rise bread. however, my oven does have a light in it and it is the perfect place to rise a bowl of dough. since it is in the closed oven, there are no drafts and the light quickly heats up the space. to give the finished bread a textured surface, i like to do the second rise in a floured basket. it makes a unique pattern on the surface of the dough during the rising and that pattern is retained after baking. after the rising, i turn it out onto my peel and slide it into the hot oven where it was baked on a stone. combine in a bowl and cover it. allow it to sit and ferment for at least 8 hours and as long as 36 hours at room temperature. mix together and turn out onto a floured surface. knead the dough by hand adding flour as needed for at least 5 minutes and up to 10 minutes. 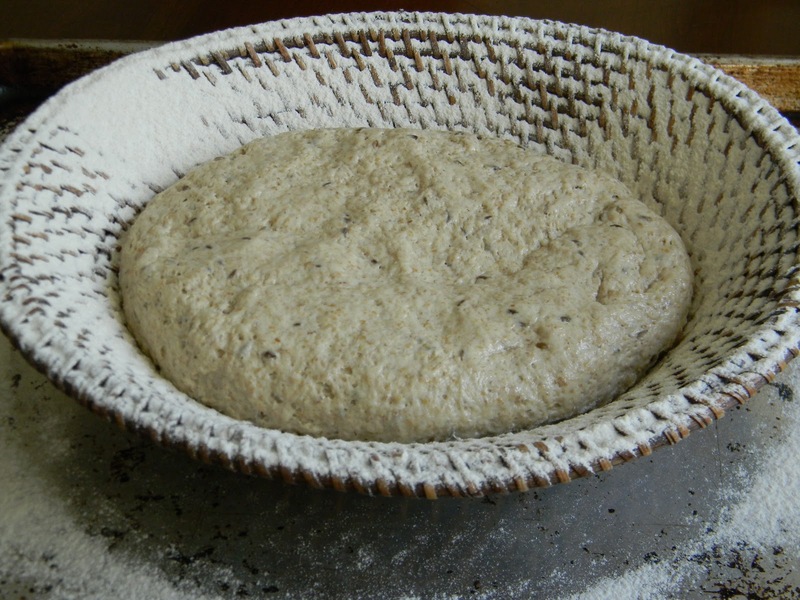 place the dough in an oiled bowl, cover it and allow it to rise until doubled, at least one hour. 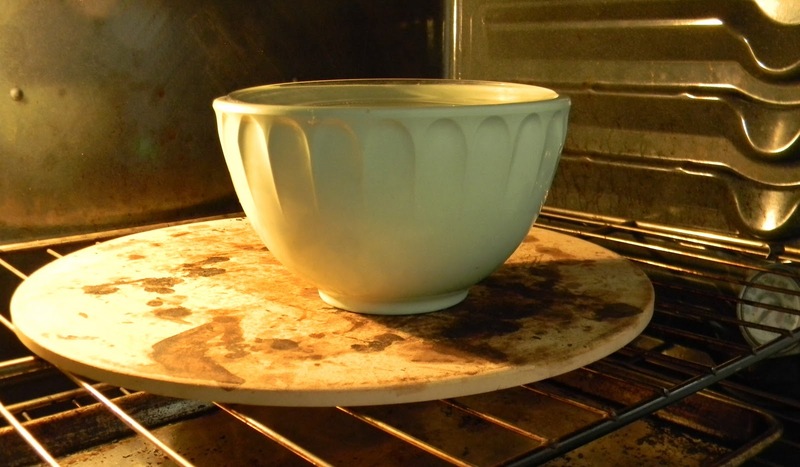 preheat the oven and baking stone if you have one to 500 F. at this time, place a baking pan in the bottom oven if you want to have steam during the baking process. turn the dough out of the bowl and shape it into a tight ball. 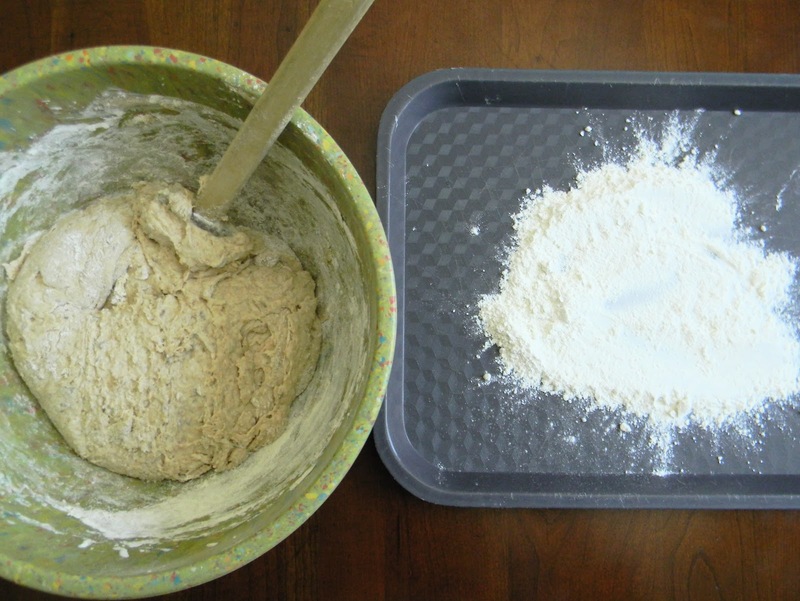 place the dough, seam side up, in a floured basket or a cloth lined bowl that is also floured and allow it to rise until doubled-about an hour. turn the loaf onto a pan or a bread peel that is sprinkled with cornmeal. place the bread in the oven, toss some ice cubes on to the pan, reduce the heat to 450F and bake for 20 minutes. reduce the heat again to 350F and bake until a thermometer reads about 210F, this could take 20 minutes and as long as 35 minutes. the bread will be nicely colored. cool completely on a rack before slicing. notes: whole grain flours make dense breads so use them with bread flour to make them a little less work on the jaws. 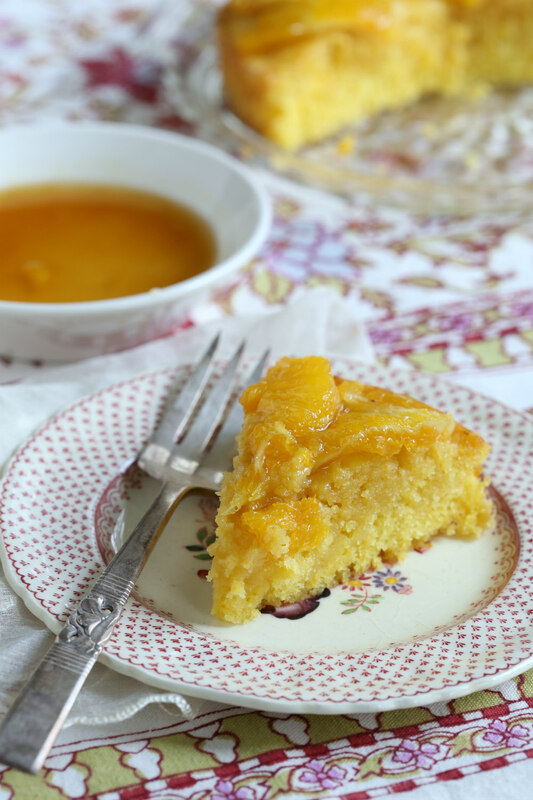 the recipe is very flexible and it is possible to start the sponge with up to 1 cup of any other flour and 1 cup of bread flour. in the past, i have used whole wheat flour, rye flour, corn meal and semolina to make tasty loaves. once, i even made it a little sweet with brown sugar and cinnamon and stirred in some plumped raisins-now that was some awesome cinnamon raisin bread! if you choose to bake a loaf, follow along and submit your recipe to bread baking day, the deadline is march 1. 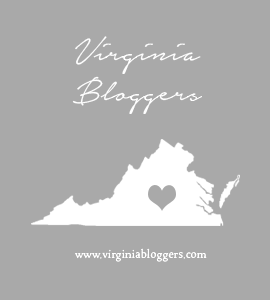 You did a wonderful job with this bread.I came across your site from the foodieblogroll and I'd love to guide Foodista readers to your site. 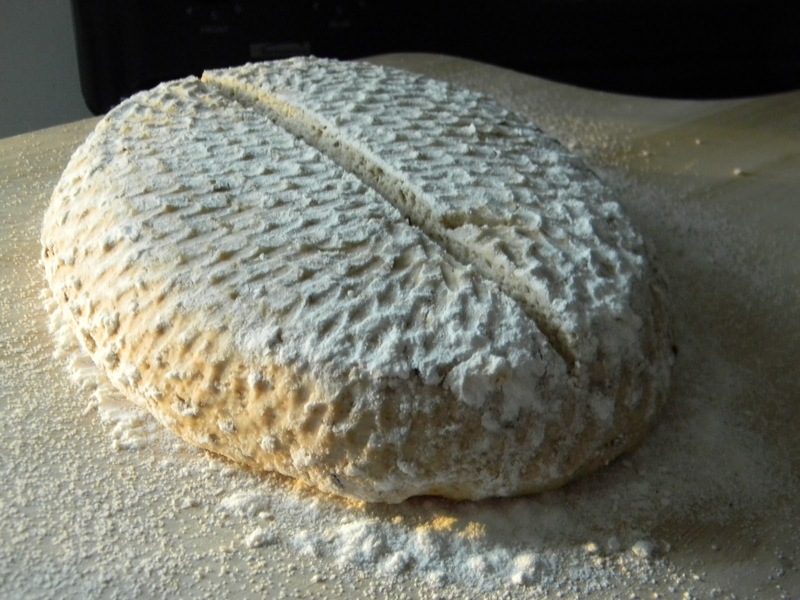 I hope you could add this sourdough rye widget at the end of this post so we could add you in our list of food bloggers who blogged about sourdough rye,Thanks! Thanks for the lovely entry. Would you mind linking it to my announcement. That is where it will lead the readers to the roundup.